Arrow Law Group: I AM MONTHS BEHIND ON MY MORTGAGE -- WHAT DO I DO? I AM MONTHS BEHIND ON MY MORTGAGE -- WHAT DO I DO? I've realized that before people come to see me, they have already consulted with numerous people "in the industry"--and most of the time, the information they receive is incomplete or flat out wrong. This is because the first person most people call is their real estate agents/brokers! Real estate brokers, though very knowledgeable about real estate, cannot give a complete picture. They are not licensed or trained to give advice on mortgage default, and people should never rely on their advice on how to handle mortgage default--no matter how trustworthy that person is. They generally have your best interest in mind, but real estate agents are simply not familiar with all your available options. Real estate agents can only offer to sell your home. Before you consider this option, call a lawyer! My advice to folks out there who are behind on their mortgage is to contact a debt relief lawyer. Most debt relief lawyers are also bankruptcy lawyers and most offer one free consultation. The sooner that you talk to a lawyer, the more options you will have. If you wait until the last minute, or weeks before the foreclosure auction, to see a lawyer, you will find that your options are unfortunately very limited. In Washington, where I practice (Seattle), you have several options. If you want to keep your home, you can request an attorney referral to the foreclosure mediation program. This program is governed by the Washington State Foreclosure Fairness Act (2011), RCW 61.24.163. Foreclosure mediation is administered by the Washington State Department of Commerce and has been, in my opinion, a huge success. At mediation, lenders are required to review loss mitigation options including loan modification, short sales, etc. Mediation also delays foreclosure until a decision has been made. If mediation is not possible or practicable, you can file a Chapter 13 reorganization plan. This is a form of bankruptcy relief. The bankruptcy court can reorganize your debts, including your mortgage, so that you can reinstate your loan. If you have multiple liens on your home (e.g., second mortgage or HELOC), the bankruptcy court can remove them to reduce your monthly payments. Best of all, foreclosure can be stopped at any time before the foreclosure auction. This means that you can come to me on a Thursday to stop a foreclosure scheduled to take place the next morning. (As a matter of law, foreclosure in Washington can only occur at 10 a.m. on a Friday). If you want to walk away from your home, or surrender it, you should consult an attorney right away. In Washington, if a lender conducts a non-judicial foreclosure on a home, the borrower is not liable for the deficiency. For example, if you owe $250,000 on your home, and it is auctioned off for $100,000, you are not liable for the $150,000 difference. This rule only applies to the lender that conducts the non-judicial foreclosure. The borrower is still liable to other lienholders (2nd mortgage, etc.) who did not participate in the foreclosure. If you are not concerned about your credit, then sometimes letting a home going into foreclosure is the best. I usually recommend exploring alternative options such as a short sale. A short sale is where the borrower and lender work together to sell the house at a fair price even if it less than what the borrower owes. The terms are negotiated between the borrower (usually though an attorney) and the lender. I find that lenders are eager to forgive deficiency if you work with them. The team at my office is stellar at negotiating favorable terms for our clients. 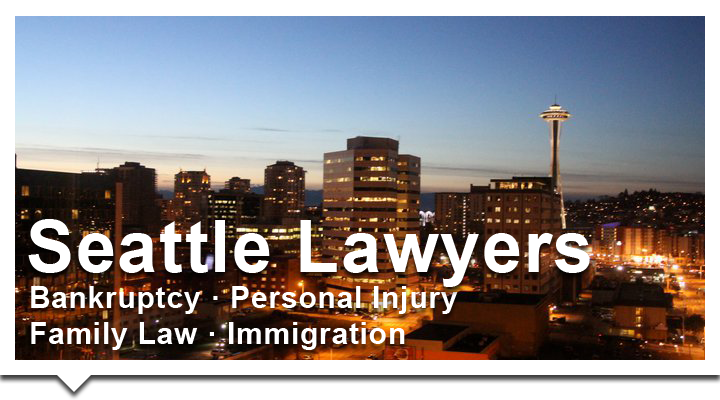 If you live in Washington, feel free to contact me directly for more information and legal advice. I have an office in Seattle and Everett, though I represent folks in Vancouver (WA), Tacoma, Federal Way, Renton, Seattle, Lynnwood, Everett, and Bremerton--you get the picture.